In the South-West of France lies this sleepy town on the top of a steep hill. At the end of a late summer’s day, it’s mighty cathedral glows above the hairpin corners that lead into the historic city centre. From up here, on the city walls or “Remparts” in French, one can enjoy the beautiful view over the countryside towards Cognac. From 1939 something changed in the quiet city of Angoulême. 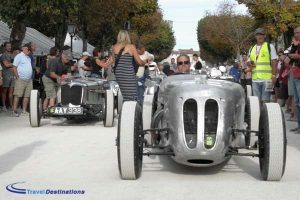 During one weekend a year, the fresh air mixed with a scent of petrol, the bird songs drowned out by growling engine noises and the coaches dragging up the hill made way for a flock of galloping race cars. 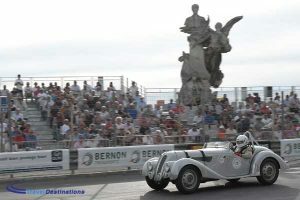 The “Circuit de Remparts d’Angoulême” was born. Just after the second world war, the event grew very popular. 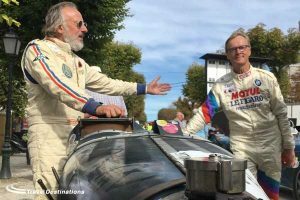 Illustrious racers such as Maurice Trintignant and Juan Manuel Fangio added victories to their already impressive ‘palmares’ here. 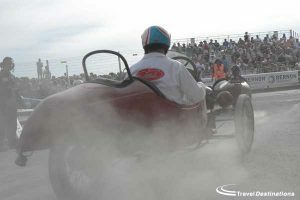 By 1955, the Formula 1 cars and the circuit became incompatible, the city turned silent again. 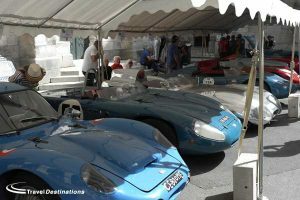 In 1978 when the city of Angoulême wanted to resurrect the historic race, it was under nothing less than the personal patronage of Juan Manuel Fangio. 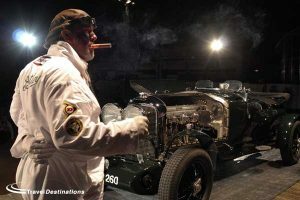 This event grew to become an exceptional display of classic car culture during the last couple of decades. 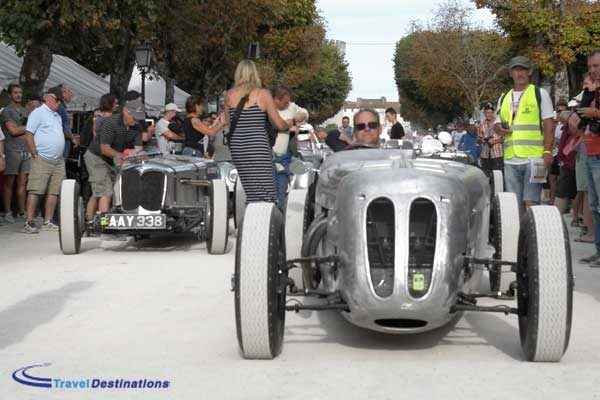 Not only on the track, but also throughout the city: from pre-war cars to young timers are to be enjoyed on the circuit, during a Concours d’Elegance on the Friday evening, a touristic rally on the Saturday and interesting classics in just every street across town. 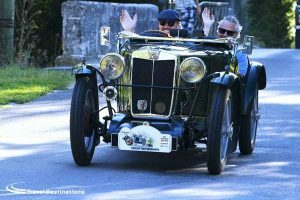 These days of the year, the town simply breathes classic cars. 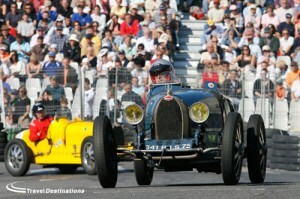 The highlight of the program is that one of the most important yearly concentration of Bugatti’s and pre-war race cars. They gather to fight their dominance on the same course that faced the great pilots in the heyday of the circuit. 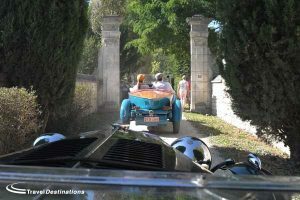 2018 saw a grid of 26 Bugatti’s racing along the narrow streets and hairpin turns of the ancient town. So close to the spectators that they could almost touch them. Thanks to Mark Jansen for this account and photography. This magical event has to be experienced, we believe the atmosphere is unique. We have two tours on offer to the event this year. 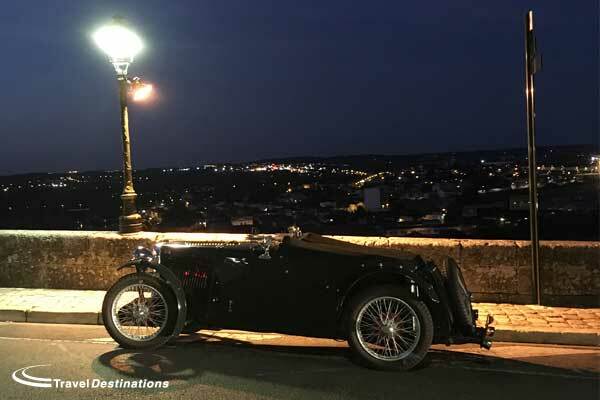 Those wishing to take a bit more time to travel down via some attractive roads with two overnight stays before arriving at Angoulême can select our seven night tour. Or simply give us a call and we can talk you through the event 01707 329 988.